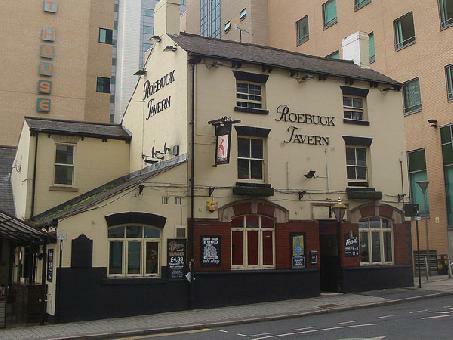 The Roebuck Tavern is a traditional pub located in Sheffield City Centre on Charles Street. The venue specialises in home cooked food and real ales, which includes ales from the venue's own brewery the Woodstreet Brewery. Other drinks on offer range from a selection of cocktails, spirits, wine, draught and bottled beers and ciders. Regular Karaoke and live music events.